3D printing jobs range from engineering, design, software development, material science, additive manufacturing technicians and much more. As the 3D printing industry continues to grow, there is also an increasing need for support roles. For example, the sales executives and marketing professionals a company in the 3D printing industry needs to generate revenue. 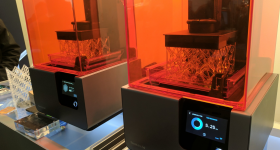 At 3D Printing Industry we’ve provided an informal service for sometime now, signal boosting when additive manufacturing enterprises are hiring and making introductions. However, as the number of requests from people looking for a job in the 3D printing ecosystem has grown, it has become less practical to do this. Therefore, today we are launching the 3D Printing Industry Jobs Board. The Jobs Board is for both job seekers and employers. 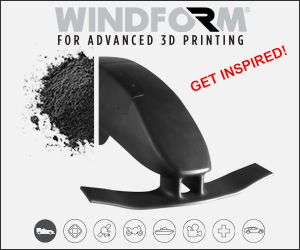 If you are looking for 3D printer job – this could be anything from a 3D scanning or metrology professional to a design for additive manufacturing expert – registration is free. 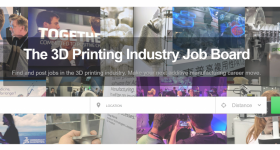 To create your profile on the 3D Printing Industry Jobs Board, click here. For companies seeking to hire, the 3D Printing Industry Jobs Board is also straightforward to use. It is free to create a profile and for March only – it is free to post a job on the 3D Printing Industry Jobs Board. 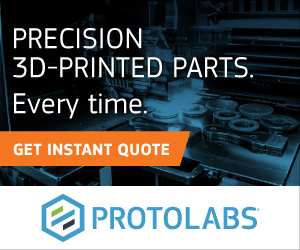 From working with beta testers, we’ve put together a list of Frequently Asked Questions about the 3D Printing Industry Jobs Board. If you have any other queries you can contact us here. 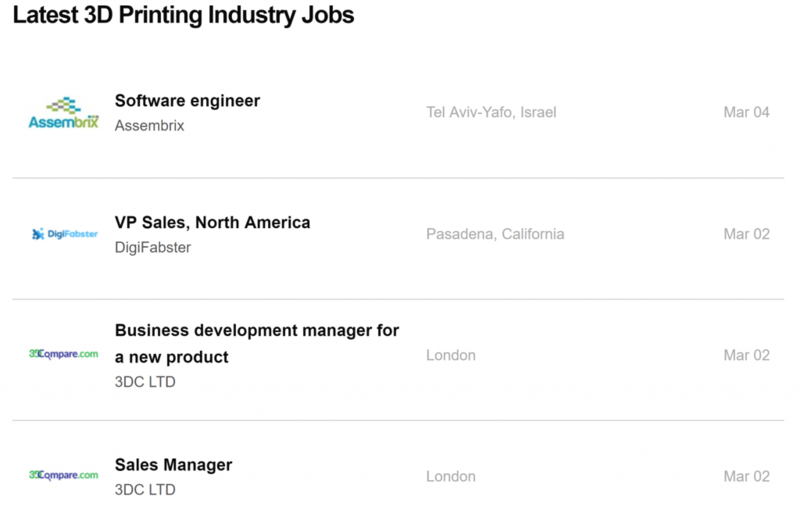 The latest 3D Printing Industry Jobs. 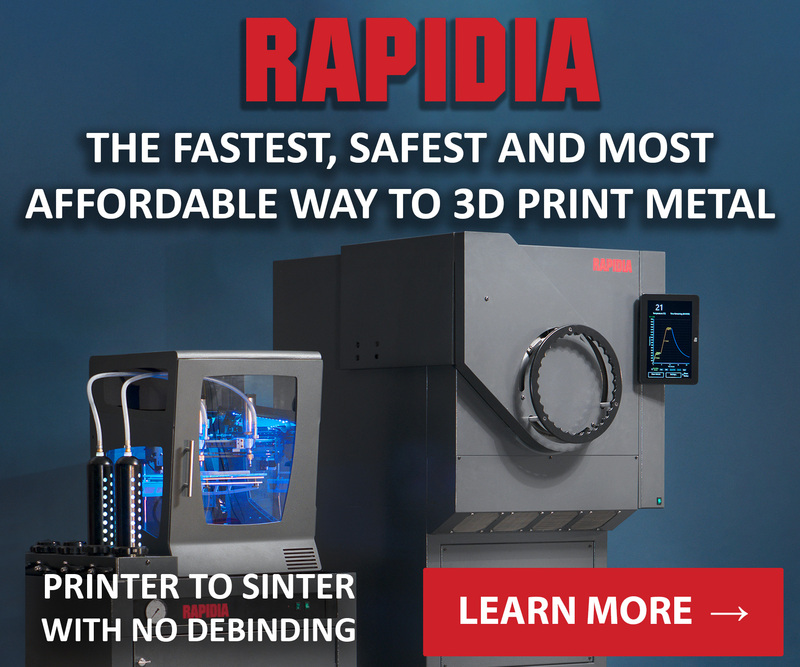 DigiFabster, a California-based software-as-a-service company, who are looking for a VP of Sales, North America to support the company’s expansion. Assembrix is seeking to recruit a Software Engineer for the design and implementation of data-flow models in the Additive Manufacturing Digital Thread. You can apply for this job here.